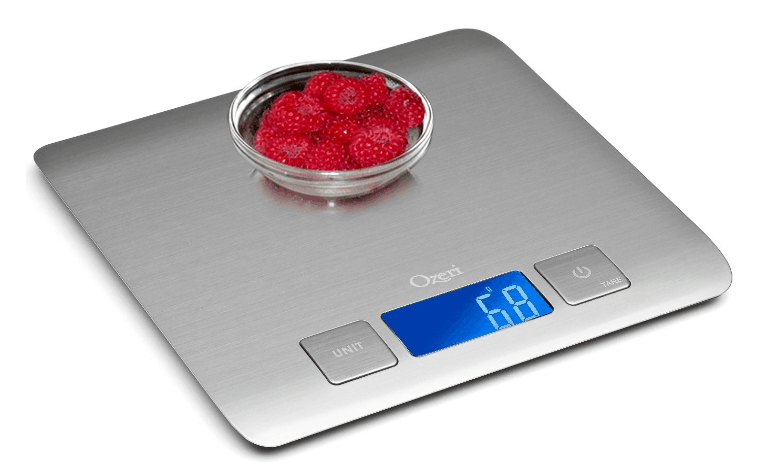 Zenith Digital Kitchen Scale by Ozeri ONLY $11.97 + FREE Prime Shipping (was $90)! You are here: Home / Great Deals / Amazon Deals / Zenith Digital Kitchen Scale by Ozeri ONLY $11.97 + FREE Prime Shipping (was $90)! Update: The $11.97 after coupon deal has expired (that was FAST!) You can get it for $19.95 when you look over on the right-hand side of the page under “other sellers” HERE with FREE Prime Shipping (sign up for a FREE 1 month trial here)! Or, if it is still available at the time of this post, you can clip the coupon directly HERE for the 40% OFF – let us know if you get it! Click on where it shows the “Clip Coupon & Save” button! If you don’t see the coupon click —>here and it will be the first one on the page.